2017 was an incredibly busy and important year for all things North Korea. 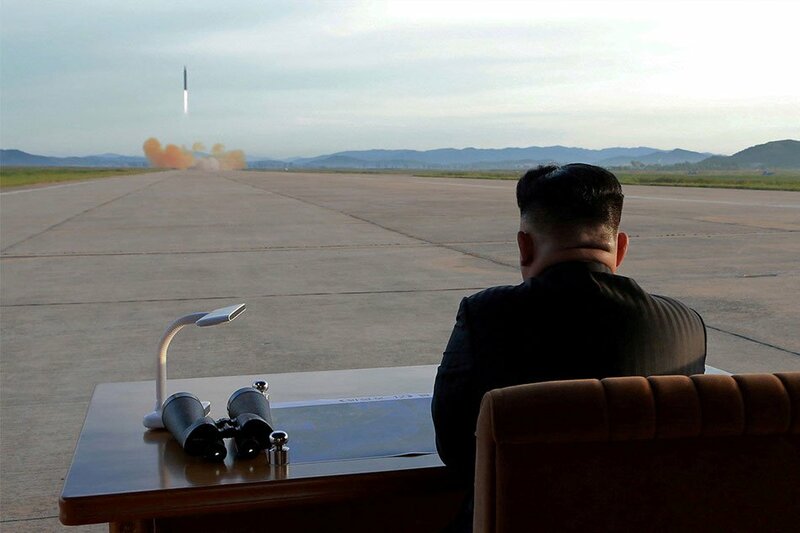 From the murder of Kim Jong-nam, the unprecedented number of nuclear and missile tests, and even to the large construction projects that were seen in Pyongyang, last year certainly kept analysts and watchers chugging the coffee. Last year was also a big year #AccessDPRK: web traffic was more than double that of last year (for which I thank my readers very much! ), I had the opportunity to give multiple radio interviews on different DPRK topics, social media presence grew, and most importantly, I was able to release the completed version of a very big map. I intend 2018 to be a busy and big year, too. Let me tell you what I've been working on and about some future plans for this new year. I published Phase I of the #AccessDPRK Mapping Project in March 2016 and Phase II was published a year later, in March 2017. Phase II became the largest and most comprehensive map of North Korea ever made public with over 53,000 locations mapped; far surpassing any previous public work. In the time since the initial publication, I have continued to highlight important and interesting finds via this blog and social media. I have also been working on the "topic specific" files that I mentioned in the Phase II release post. At the same time, I have continued work on keeping the main project up-to-date and have added scores of new sites of all types: military, monuments, and domestic. It wouldn't quite be accurate to call this beginning a "Phase III", but I want everyone to know that I am certainly not finished with this undertaking and a true Phase III will be forthcoming at some future point. Over the course of this process I will be re-categorizing hundreds of "compounds" to reflect the greater importance they may now hold, I will be working to resolve a long-standing issue in identifying many interior HARTS locations (are they artillery sites or simply tunnels? ), I will keep marking places that were inadvertently missed the first time around (like a monument or irrigation pumping station), and of course work on the topic specific files will continue. 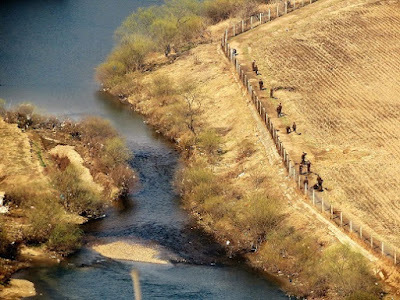 Additionally, it's important to realize that all of the articles on this site are part of the broader #AccessDPRK project and are meant to enhance the work by giving it greater depth. There are a number of articles that I am currently drafting, and I have begun to use a range of new resources which will allow me to use more recent satellite images in a number of cases. That means I can provide you with better information and occasionally even help break some news. Considering all of these things and the amount of time and effort it requires (I am just an individual and not backed by any organization), I am also thinking about setting up a Patreon (or similar) account to enable those who appreciate and enjoy what I produce to take part and assist. I'll have more on that later. So I am looking forward to this new year and anticipate North Korea will provide us with ever more things to talk about and analyze. I appreciate your continued interest and all of the emails, comments, and interactions on social media. If you haven't already, please follow me on Twitter @JacobBogle and you can add me on Facebook, too. If you'd like to email me, the address is jacob_bogle@yahoo.com. I'm always open to suggestions on what topics to cover. A small military training base was recently constructed, and it is one of several to be built over the last few years. 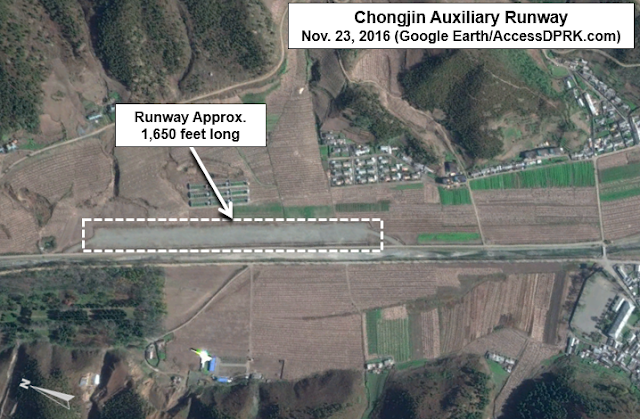 Located 7.8 miles (12.6 km) east-northeast of Sariwon, N. Hwanghae, it is situated in a valley that also holds multiple other small military sites like tunnels and munitions/equipment storage depots. The location of the base is marked with a star icon and labeled, and all of the small yellow markers are the numerous other military sites in the region. This next image shows the immediate area surrounding the training site. The several storage sites and tunnel group have also been marked out. This is a 2014 image of the area, before the training facilities were constructed. Based on satellite data, the facilities were constructed between October 2016 and April 2017. I'm using a 2014 beforehand image because it's the best looking image showing the area. In the latest satellite image, a number of changes to the old base can be seen. An assembly/parade ground has been established, new barracks constructed alongside the old observation hut, a small training site for fighting in trenches was set up, the water course has been updated, and a vehicle training course has been constructed.